Now I'm just trying to figure my parallel. Any tips? For pre trip I studied Daniel's pre trip study guide pdf. You can get if free here. Just hit the cdl training materials menu and then hit pre trip inspection study guide. Scroll down for the download link. I've studied over it and watched videos on YouTube (do better when I see it). I also ran through the pretrip packet they gave us. I scored a 94 on my yard test (consisted of In-cab, coupling, Pretrip A,B, and C). The more I'm doing this the better I'm feeling about it. This is the best career move I've ever made. Everyone is amazingly helpful and showing us different ways to set up. I had an instructor that watched me massively mess up setting up for an cross over, but let me figure out the best way for me to correct myself instead of coming over and telling me how to do it. Parallel and offset are very similar, if that helps. I've noticed that while observing other students doing it. The more I see it the less I'm worried about it. I'm just anxious to get in the truck and start working on it myself. We got a little behind last week with nailing pretrip and yard testing. Alright, I'm currently in week two of CDL school and I'm having a blast. I absolutely love the feeling of being behind the wheel of a big rig. Straight back was no problem, cross-over not too bad (still have a little work). The two things that worry me are pretrip and parallel parking. Advice for nailing those two? The closer Sunday gets the more nervous and excited I get lol is that bad? 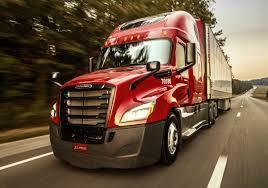 I just got accepted into the CDL School for US Xpress. I'm not fully sure what to expect. Tips and suggestions are much appreciated!